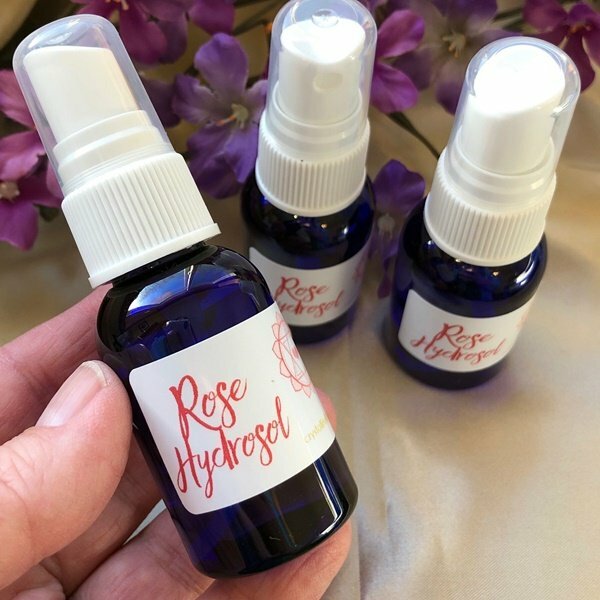 Organic Rose Hydrosol is a wonderful addition to your skin care routine or your crystal life. Roses are a sign of love, sacredness, and devotion. What if you applied all those things to yourself? Organic Rose Hydrosol is a wonderful tool for not only uplifting your senses, but raising the energy to LOVE for your self and your space. This Bulgarian Rose Hydrosol is a great hydrating toner mist for your face before applying your moisturizer and makeup. It is very gentle and nourishing. It can be added to your bath rituals. This hydrosol can be misted around your self or your bed or home to shift the energy (and scent) to sensuous love! The bottles are small enough to throw in your purse to carry with you as well. 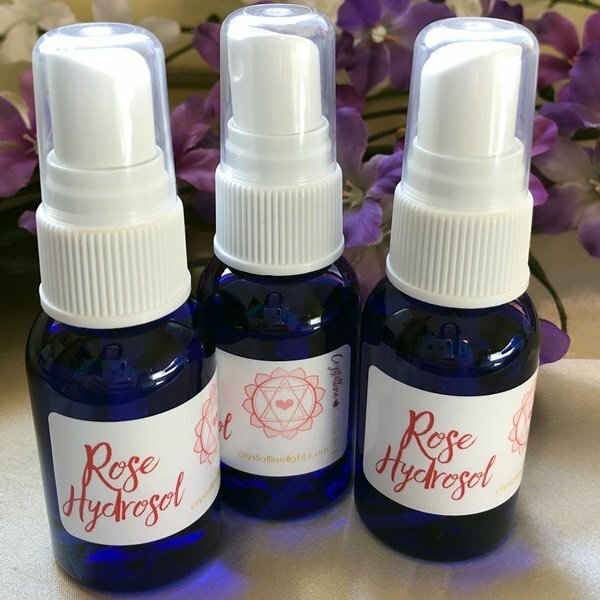 The hydrosol also contains a quartz crystal to amplify the energy of the Rose!